As a keen geologist himself, here are a few things that Father Christmas should look out for on the 24th of December. 1. The Himalayan mountain range – formed 65 million years ago, this extensive orogenic belt contains some of the tallest mountains in the world (namely the world famous Mount Everest). Interestingly for being so far away from the ocean, the tip of mount Everest is marine limestone. Santa will have no trouble spotting this beast from the sky. 2. Barringer meteor crater – a 50,000 year old impact crater, 1200m wide in diameter formed by a meteorite that hit the earth at 28000 mph. Unfortunately no humans would have been alive to see the spectacle; just a few woolly mammoths and giant ground sloths. This one, unlike its Mexican brother (the meteorite that wiped out the dinosaurs 65 million years ago) did not cause a world-wide extinction. 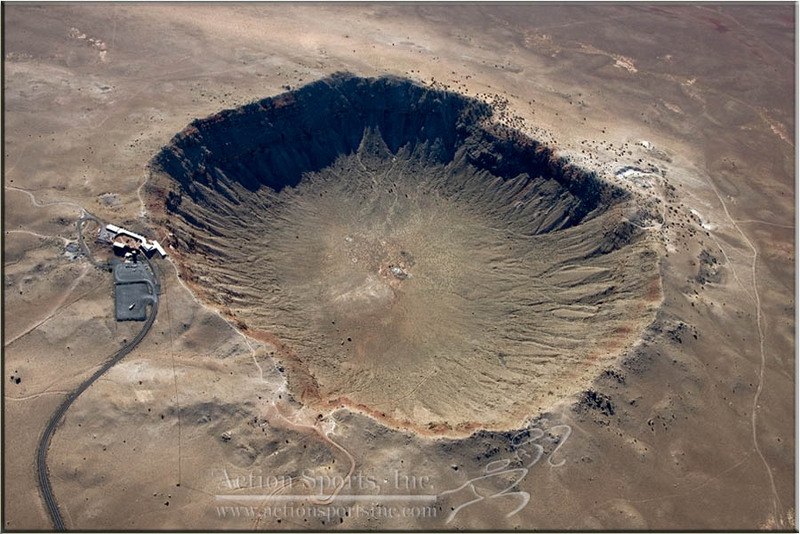 But it did leave a very impressive hole in the ground that can still be seen to this day in Arizona, USA. 3. Palisades sill – a 300m thick sill composed of giant columns of basaltic rock that outcrops along the Hudson river in the USA. It was named ‘palisades’ after its optical likeness to a palisades fence. As large as it is, Santa might need to put his headlights on to see this one. 4. Kilauea – a currently erupting volcano in Hawaii. Santa won’t need to worry about getting too close to this one; the volcano is rather tame in terms of its explosiveness. Kilauea is a shield volcano that has elongated eruption periods; some can last up to three years! It is the most volcanically active volcano in the world, and the glowing orange magma puts on a magical performance at night – Santa won’t need Rudolph to guide his way past Hawaii! Kilauea erupting at night. 5. 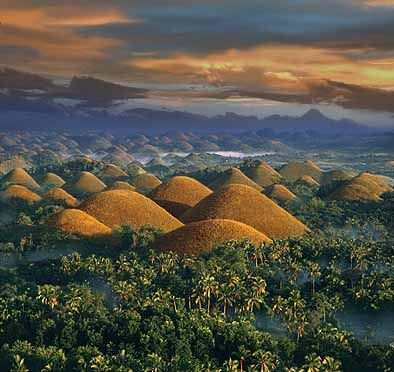 Chocolate hills – a geological oddity set in central Philippines. There are around 1300 hills, over 50 square kilometres, that are covered in brown grass (hence the name.) They are composed of marine limestone and are thought to be the leftovers of uplifted limestone reefs that have been systematically eroded by rivers, streams and rainfall. Other explanations for the hills generally involve the excrements of giants, but the more romantic of the legends tells that the hills are the tears of a giant mourning the death of his mortal lover. That’s my top 5. What geological sights would you recommend to Santa this Christmas Eve? Eleri has now graduated from the University of Leicester. Hello! My name is Eleri Simpson and I'm a 4th (and final!) 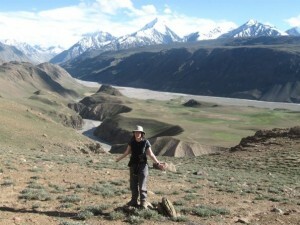 year geology student at the University of Leicester. The parts of my course that I love the most are: mapping, igneous and metamorphic processes, geochemistry and volcanology. Outside of learning I'm part of the First Aid society and the University concert band, where I play the clarinet. I enjoy evenings at the pub, cooking, walking in the countryside and a good cup of tea. 2) Night time volcanic eruption anywhere in the world!